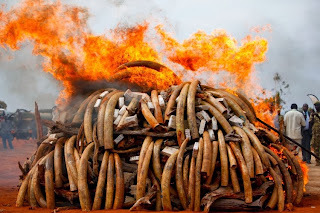 Elephant tusks burn at the Tsavo West National Park in Kenya. How did the Keyan Mall Terrorists (al-Shabab) finance their massacre? Illegal elephant poaching for up to 40% of the costs. Wonderful. Elephant ivory sold on the black market is highly profitable. In 2012, ivory fetched as much as $7,000 a kilogram in China, depending on its quality. 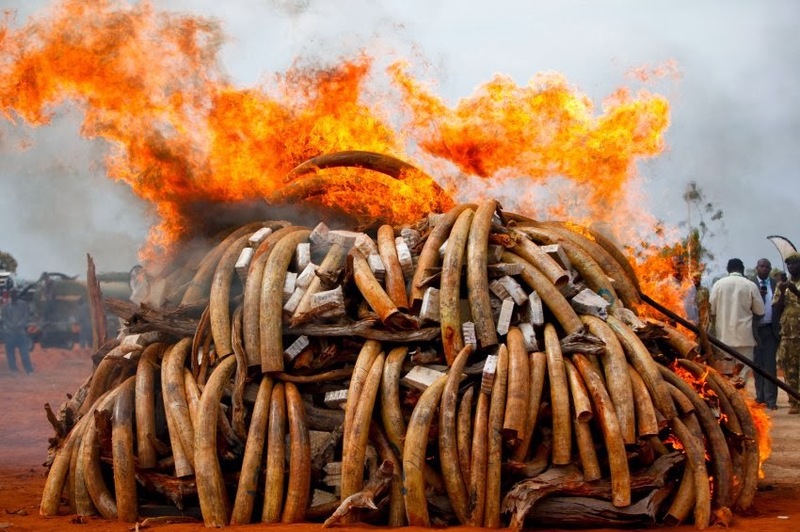 At those prices, elephant slaughter is an easy way for terrorist groups like Shabab to rake in the cash: the ivory from just five elephants is probably enough to fund an attack of the sort we saw in Nairobi. Well, stopping elephant poaching might actually become a laudable military aim to put a massive dent in terrorism, if the West wants to act more intelligently that is.